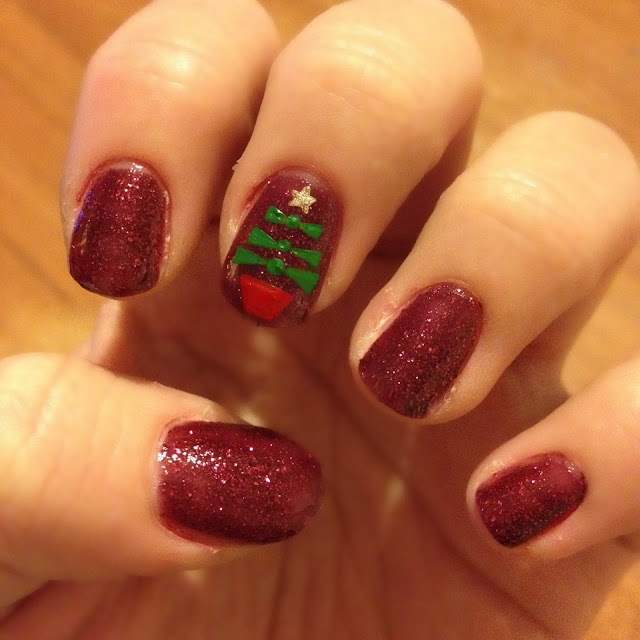 Today's nail is a slightly abstract Christmas Tree design which you could do on all your nails or use as an accent as I have. I think the bows look really cute and are something a little quirky and different to the ordinary tree shape! Tweet me at @jnnfrch with a pic if you recreate any of the looks in my series, I'd love to see your creations!